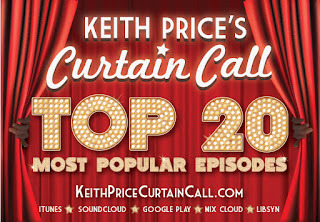 If Keith Price's Curtain Call Top 20 Most Popular Episodes Countdown was a beauty contest, then in the First Runner Up Position, is Kurt Deutsch, President and Founder of Sh-K Boom Records. Being a bonafide theater nerd, upon meeting Grammy Award winning actor, producer, director, Kurt Deutsch, I realized that there should be a protocol that starts with bowing your head and kissing his ring. This man is one of the people in the music business that is responsible for making sure that cast recordings of some of the biggest and smallest shows will live on forever, and it gives us theater geeks something to stay hidden and listen to in our rooms for hours while supplying us theater nerds worldwide with the music that will define our entire existences. 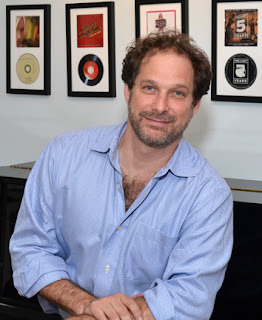 If you are singing lyrics from the Tony and Grammy winning Book Of Mormon, or getting your salsa/merengue/rap flava from In The Heights, or if you want to ride the cool bluegrass of last season's Grammy Award nominated cast recording, BRIGHT STAR, it is all thanks to the effort of Kurt Deutsch and his amazing team. I will admit that I was surprised to see Kurt this high up the chart, but I am glad that he is. He is a doing God's work, for those of us that belong to the Church of Broadway. Check out my conversation with Kurt Deutsch HERE. 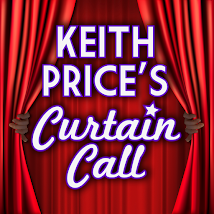 Subscribe to Keith Price's Curtain Call. Now on Itunes, Google Play Music, Soundcloud, Mixcloud, and LibSyn.